Booking to Phuket up to -70% off To take advantage of these offers, join now for free! 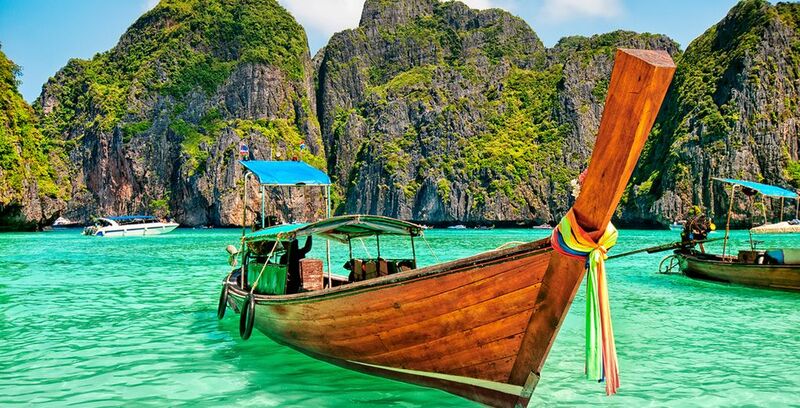 Thailand’s largest island, Phuket, is one of the world’s best beach destinations. With beautiful white sandy beaches, palm trees, gleaming blue seas, and bustling beach towns. Home to over 30 beaches, Phuket offers something for every budget and taste, with hundreds of partying and dining options. 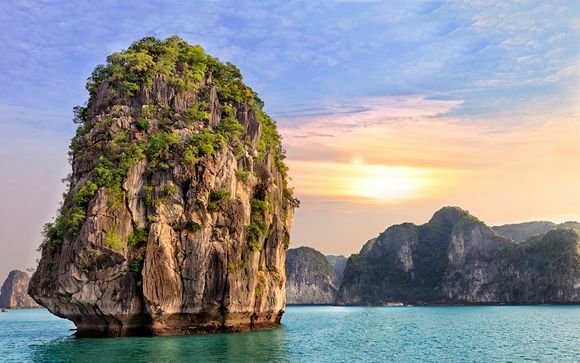 It is the perfect launch pad to explore tropical island paradises, with the world famous Phi Phi Islands only an exciting speedboat journey away and the majestic Phang Nga Bay offering a more serene excursion to take in spectacular scenery. 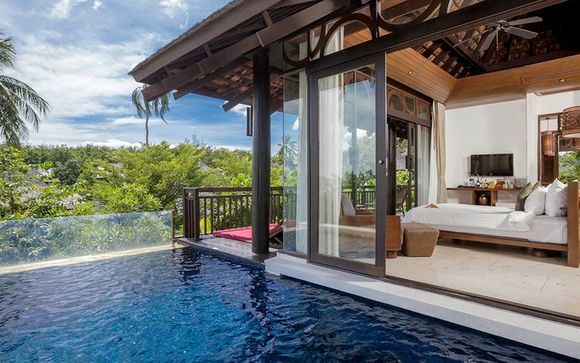 Phuket offers a variety of holiday experiences to suit every taste. Spend your time lapping up the sunshine lounging on a beautiful beach, get active and book a diving course in its clear tropical waters, or enjoy the fantastic local cuisine - visitors really are spoilt for choice. The white sandy beaches of the southern and western coasts are the main draw for visitors, and where some of the most luxurious hotels and spas in Thailand are located. 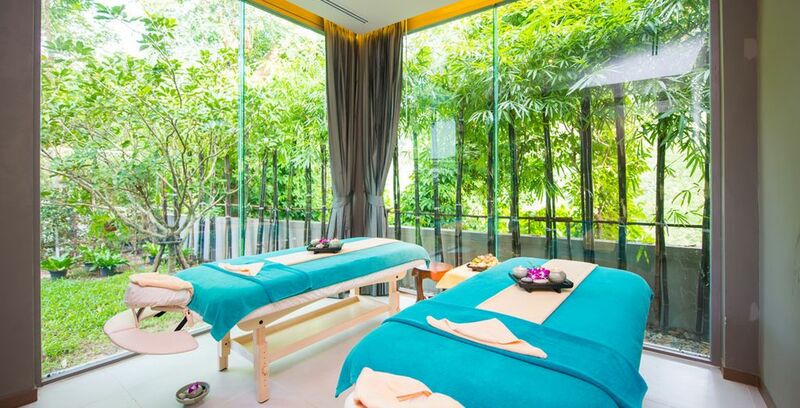 Ao Bang Thao and Surin are home to lavish resorts to unwind in paradise. 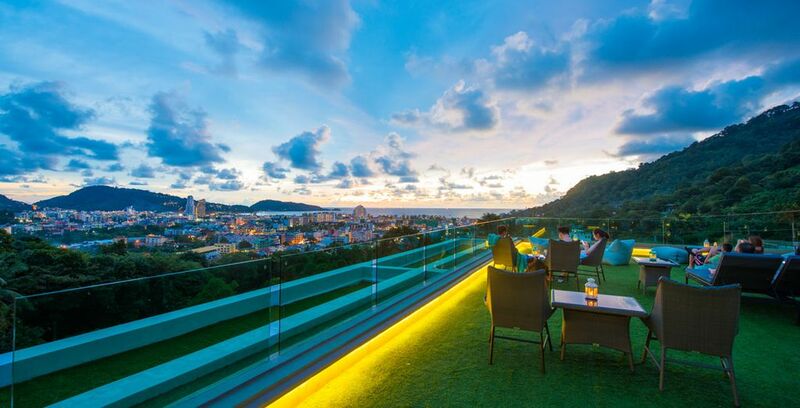 While the vibrant town of Patong is where you can experience Thailand’s famous nightlife. The island's capital, Phuket Town, is located on the east coast and offers a more cultured and laid back experience. While the north offers lots of family fun with its wildlife sanctuaries and national parks. With so many options, Phuket really has something to offer to everyone. A day trip to this beautiful and unique bay offers an experience you will never forget, with its amazing sheer limestone cliffs jutting out of its beautiful emerald coloured waters. You can observe the rare sheltered fauna and sea life that the islands of the bay are home to while movie lovers will be keen to visit the famous James Bond Island. Another island that has been featured in Hollywood movies, Phi Phi Island was the setting for the 2000 Leonardo DiCaprio movie The Beach. The much-hyped island doesn’t disappoint as you take in the amazing beauty of the towering sheer cliffs and wonderful beaches nestled next to the island’s jungle interior. Not for the faint hearted, an after-dark stroll down Patong’s Bangla Road is an experience unlike anything you will have encountered before. Keep an open mind and engage your sense of humour to make sure you enjoy your visit to Phuket’s famous nightspot. While definitely not suitable for the whole family, its huge collection of bars, shows, and nightclubs offer exciting after dark fun. Observable from most of the south of the island and costing over £700,000 to construct, the giant Buddha is located atop the Nakkerd Hills and, standing 45 metres tall, peers down across Kata, Rawai, and Chalong. The drive up to the giant Buddha takes you away from the tourist traps, and you get to experience the more relaxed local Thai life that goes on in the villages of Phuket. It offers spectacular views of the island that shouldn’t be missed. Beautiful clear blue seas surround the faultless white sandy beaches of the Similan Islands. The 9 idyllic islands are ideal for those who want to go island hopping or wish to explore the waters and sea life by scuba diving. The islands are located 30km from Khaolak and are considered some of the best dive sites in the world due to their crystal clear waters and blooming coral reefs. 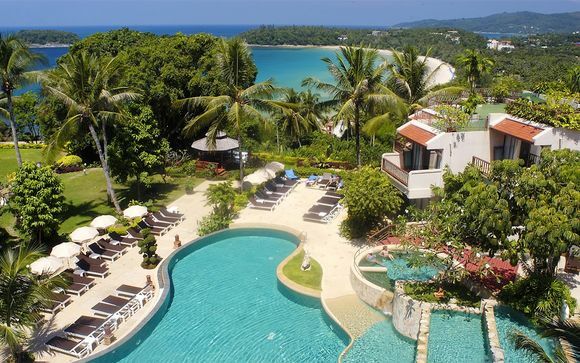 Which hotel to choose in Phuket? Save up to 80% by booking with Voyage Prive. This luxurious resort offers guests white sandy beaches with stunning views across the blue sea and spectacular tropical sunsets. The five-star rooms are decorated to a high standard with superb facilities and great hospitality. 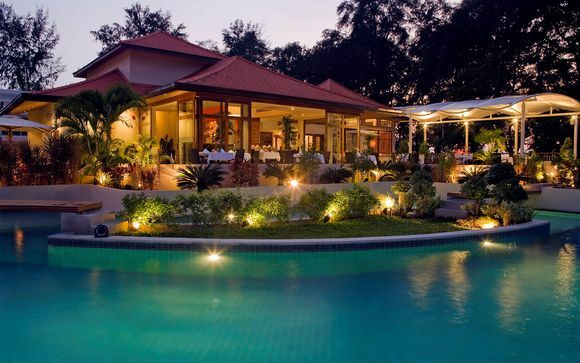 This resort is great for families or couples looking for the privacy and relaxation of a villa holiday combined with the service and standards of a five-star hotel. Located minutes away from the beach, it offers excellent international and Thai cuisine that can be enjoyed at its restaurant or served in the privacy of the villa. 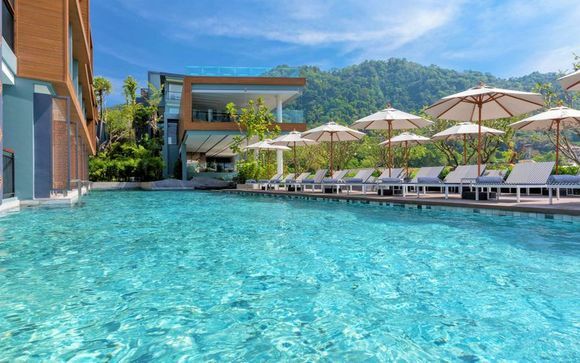 This modern and stylish resort is the perfect location for a romantic getaway in Phuket. 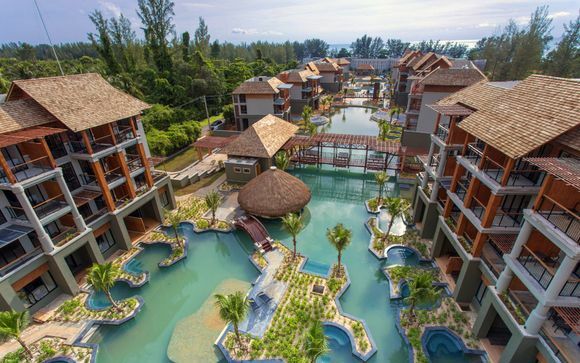 Its lustrous accommodation offers stunning views of Kamala Beach and provides guests sophistication and style combined with the natural beauty of a tropical island. What is the weather in Phuket? Phuket is blessed by its location in the Andaman Sea, enjoying glorious tropical weather without the storms and typhoons that can plague the neighbouring countries. December to March is the best time to visit as mainland Thailand takes the brunt of the monsoon rains, leaving blue skies and refreshing breezes over Phuket. Humidity is at its lowest and the average temperature usually sits between 24°C to 32°C. April through to May is the hottest time of year with temperatures ranging from 27°C to 36°C. 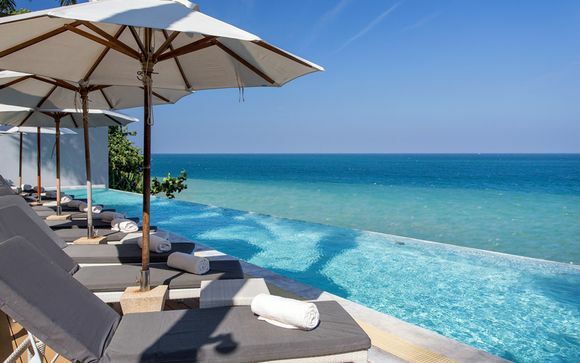 Its world-class beaches and resorts make Phuket seem like a destination that is only affordable for those with a high-end lifestyle, but, as with most of Thailand, there are options to suit every budget. 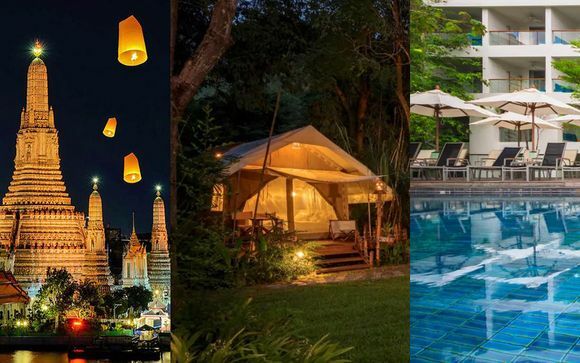 You can pamper yourself in luxury or holiday on a smaller budget and explore the local eateries, discount shopping outlets, and stay in more affordable hotels and guesthouses. Many of the tours and tourist attractions are very affordable and your budget can vary from a modest £45 per day all the way up to a lavish budget of hundreds of pounds per day. Discover our booking Thailand plans: last minute deals, booking, holidays, tours, cruises, from London.